7 billion Others is a video art project from the GoodPlanet Foundation that presents a portrait of humanity today. The aim is to listen to the inhabitants of the planet, to listen to what they have to say, and to share it with others. To date they have interviewed 6,000 people in 84 countries; asking the same 45 questions each time. From the answers, the project tries to figure out what we have in common and what we don’t. 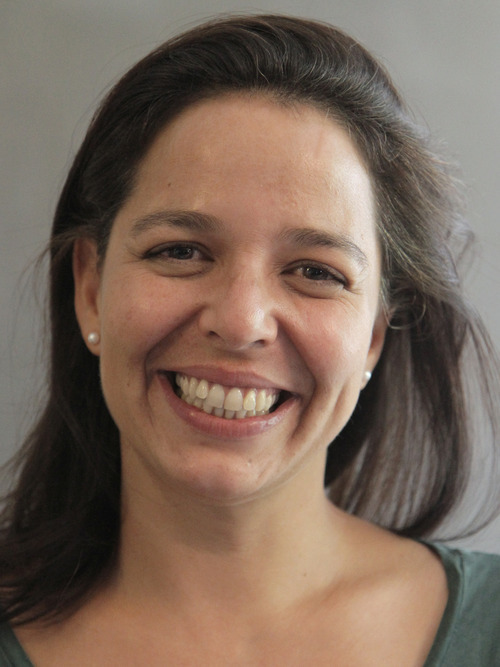 Galitt Kenan, project manager, 7 billion Others, GoodPlanet Foundation shares more on this beautiful story. Yann Arthus-Bertrand, Rouget-Luchaire and Sibylle d’Orgeval were the originators of the project. Following a helicopter accident, Yann found himself in Mali for a couple of days. There he met a man – who he had never met before and who he would never meet after – and they shared their views on the most essential subjects that people can share together: their dreams, their hopes, their fears, their country, God, progress…everything. When he went back he thought about how wonderful it would be to have a glimpse of that all over the world. He was fascinated by the beauty and fragility of the earth, thinking that from the sky everything appears to be very simple, so why, when we get onto the ground level, are we so often confronted by boundaries, by antagonism, by separation, and ignorance? He wanted to explore that. What does 7 billion Others tell us about humanity? Despite having interviewed more than 6,000 people I have always been impressed by how humans all have the same hopes, fears and dreams even if we express them in different ways. Regardless of where we live, deep down we all share the same basic thoughts: what lessons are we teaching our children, what will the future bring, how can I be happy in myself, with my family, my community, and my country. Essentially we all want to find a balance and a better way to do things. Here, at the GoodPlanet Foundation, we all have testimonies that touch us more than others, it is very personal. 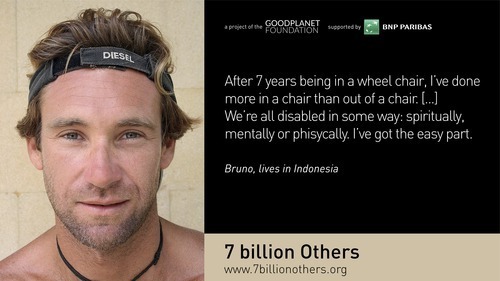 One that has really stayed with me is a story from an Indonesian man called Bruno who is handicapped. He said: “we’re all disabled on this planet, physically, emotionally, spiritually - physically is the easy part.” He is very young but it could have been said by someone who was 100 years old; there is so much wisdom in it and I was very touched by that. At the same time some of the elderly are so positive, and so young in the way they think. I remember a man who said “I have been married to my wife for 25 years, but we only fell in love last year.” It’s so interesting to think that two people could live together for so long but suddenly discover each other after 25 years of marriage. How, at the age 45, could something so fundamental in his life change so much? We also explore how people can change over time. In one of our movies about the genocide in Rwanda we not only speak to the victims about how difficult life is, but we also met those who committed the acts of the genocide. For example, Ernestine, who was one of the victims. We first interviewed her in 2008 and then went back and interviewed her again in 2011 to see how her life has changed. 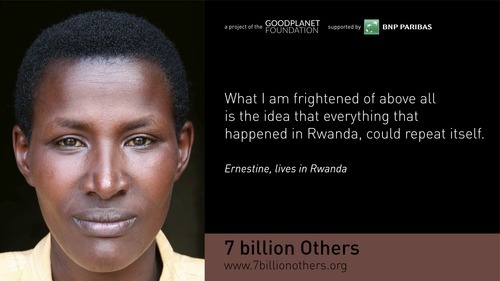 This video from 7 billion Others shares interviews with people from Rwanda, including Ernestine. What role does technology play in the project? The aim of the GoodPlanet Foundation is to educate the public and make people aware of how to protect the environment. We want to inspire people and encourage them to be more respectful of the Earth, and technology plays a vital role in helping us to achieve this. All our projects rely on us communicating this message to as many people as possible, so tools such as the internet, social media, DVDs and even books allow us to disseminate our stories to people in countries and regions all around the world in the most cost-effective way. What does it mean to 7 billion Others to be recognised in the 2013 NT100? Being part of the NT100 means a lot for 7 billion Others. It is recognition that our project not only has a strong concept, but that the impact it is having is significant. Being recognised as a social tech innovator is important for us - technology is a tool, a wonderful one, but not the objective in itself. We are honoured to be considered among other great social tech ventures in the NT100, all doing different things but with the same goal of improving society and making the world a better place. What role is technology playing, or can play in supporting social good? Technology allows us to do things more efficiently and effectively. It is a valuable communications tool as it allows us to share vital information with as many people as possible. But it is only a tool. In sharing this information we hope it will remind us that there is no plan b. We – humanity - have to learn how to live together. Is there more that unites us or divides us? Are you kidding?! There is everything to inspire us, which is so important. Even what divides us inspires us.